WhatsApp has launched its new version for desktop and Personal Computers for Windows Operating System. Till now it was available only for smartphones. To download WhatsApp on your Windows PC use following steps. 1. 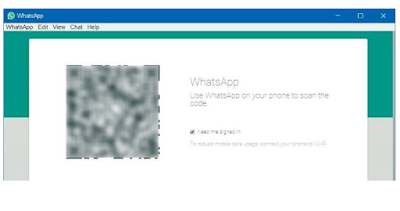 Go to WhatsApp website and click on Download Windows (64-Bit). This file is for 64-bit Operating System. To Know, what operating system you are using? Right click on Start Menu and select System. you will Know Which Operating System you have. WhatsApp is also available at 32-bit OS for Windows 8 and above. For those who are working on 84-bit OS has to wait for some time. 2. After the file is downloaded, click on the file downloaded to start Setup. This installation process will take you to WhatsApp screen. 3. There you will require your Smartphone in which you use your WhatsApp with an Internet connection. 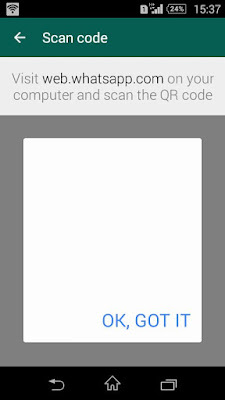 Now Open your WhatsApp and go to settings, then web and there you will find QR code scanner. Scan code available on PC and click OK GOT IT. Now you are ready to use your WhatsApp on the desktop.